Case Statements - Alpha Products Inc.
Echostar Corporation had contracted with another manufacturer to produce the Dish Network SuperDish. The dish was needed for Echostar to meet federal requirements to carry local and HD channels on top of their existing lineup. This project was very difficult to manufacture due to its extremely close tolerance requirements. Without the dimensions being just right, the dish would be unable to correctly pickup the signal and would result in very spotty service. The other manufacturer was unable to produce a satisfactory part and the project was near being scrapped due to the level of difficulty involved. Alpha Products was made aware and offered a solution. The project was months behind schedule, so the existing tooling was rushed to Alpha’s facilities where it was quickly reworked to provide a quality, consistent part. Within weeks, Alpha was delivering product that exceeded tolerance requirements, literally saving the massive project. 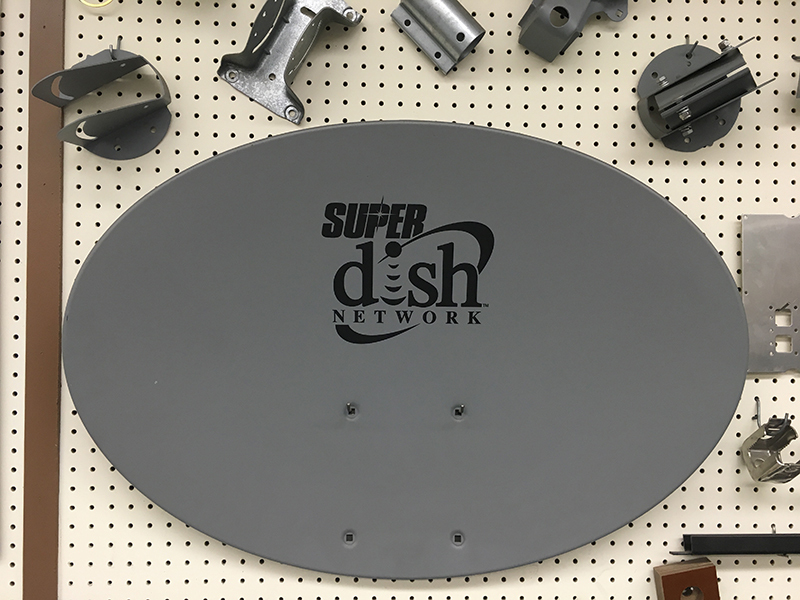 Without Alpha’s experience and capabilities, the Dish Network SuperDish would have reduced Dish Network’s ability to provide HD entertainment to their customers, putting them at a great disadvantage to competitors. As the project neared completion, Echostar finalized their manufacturing arm and started moving simpler products that Alpha had done for them from Alpha’s facilities to their own. Alpha provided support as a consultant on how to run those dies satisfactorily. After making well over 1 million SuperDishes, Echostar began work on a new dish design to further compete in the marketplace. Using expertise gained from Alpha in producing the SuperDish, they were able to successfully manufacture its replacement in their own facility. 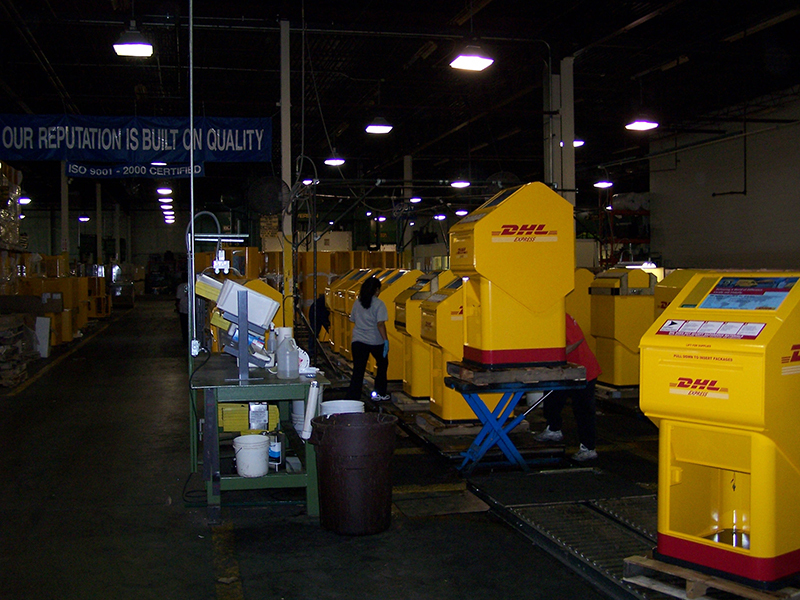 DHL proposed a project to greatly expand its parcel collection box network in the United States and was in need of a manufacturing partner to design and build the boxes. The project was expected to be manufactured in China, and several prototypes were built. The prototypes were very low quality and did not meet the customer’s (DHL) expectations. The extremely high cost of shipping these large boxes from China was also a problem. The company overseeing the production of the boxes approached Alpha about manufacturing them in Chicago. A redesign was done on the boxes to fix a water leakage problem found during testing at Alpha, and a prototype was built. DHL was so impressed with the box they awarded Alpha with 50% of the project and 50% to another company. Alpha utilized its robotic welding and fabrication equipment to produce the boxes quickly and efficiently. After producing the first set of boxes, DHL was so happy with Alpha’s performance they awarded 100% of the second round to Alpha. By the time the project was completed, Alpha had produced over 12,000 collection boxes while the other company was still struggling through their small initial order.